Sadie turned eight last year and was baptized into our church! 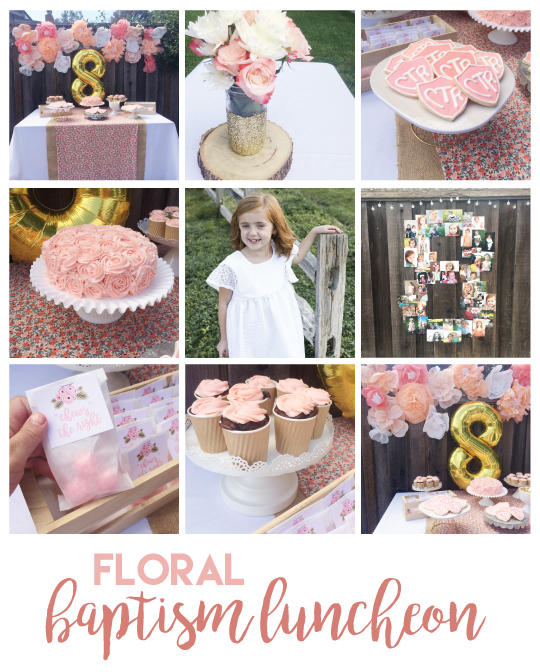 I had a great time planning her baptism luncheon that we hosted at our home, lucky girl she basically got 2 birthday parties! 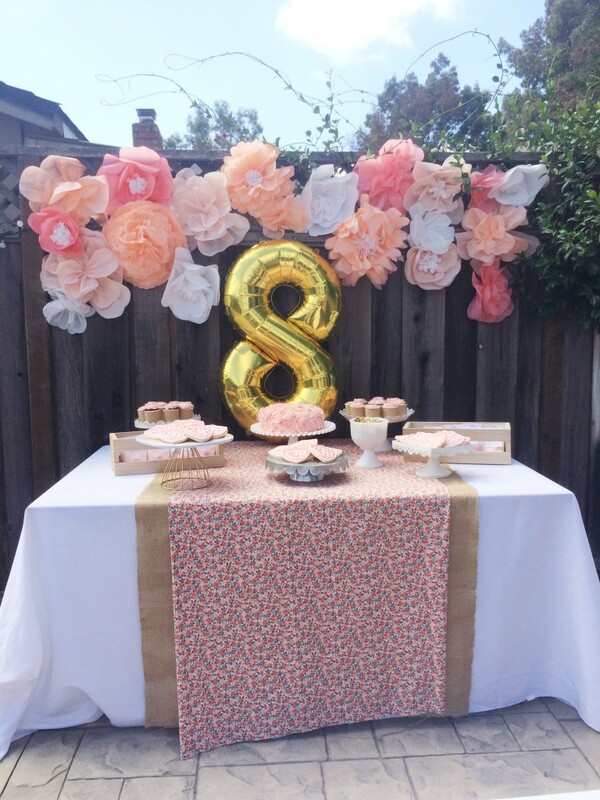 We decided on a coral ombre theme with touches of gold, kraft paper, and floral! see her baptism dress here! 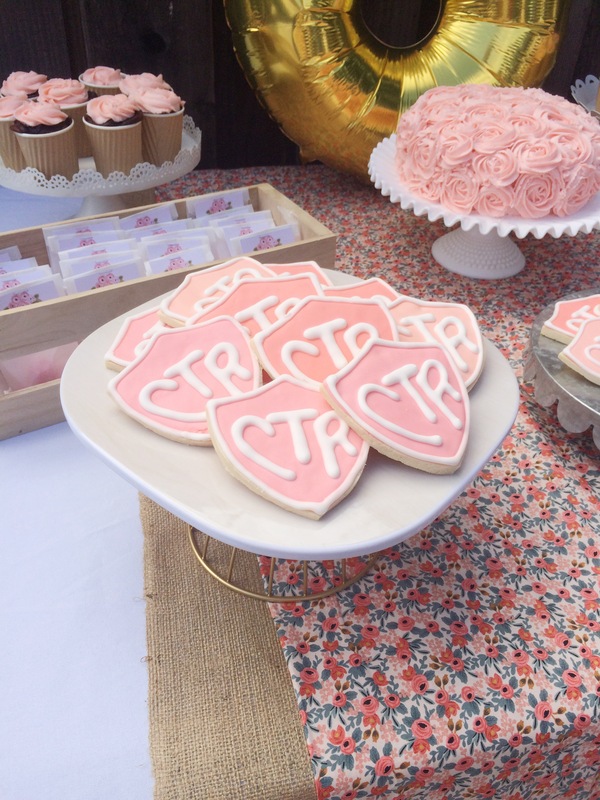 then frosted them with ombre coral colors and piped on the white letters. 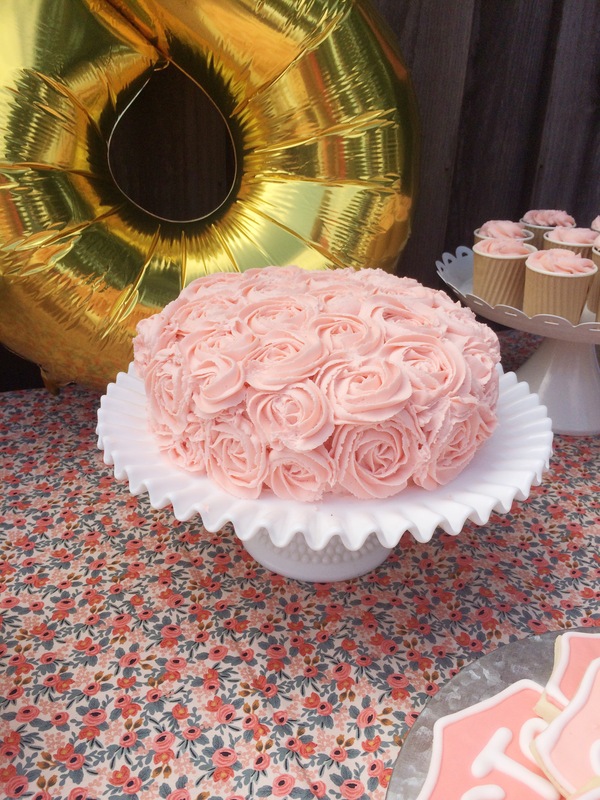 I love how this rosette cake turned out! I used my girl Stef’s fantastic tutorial! 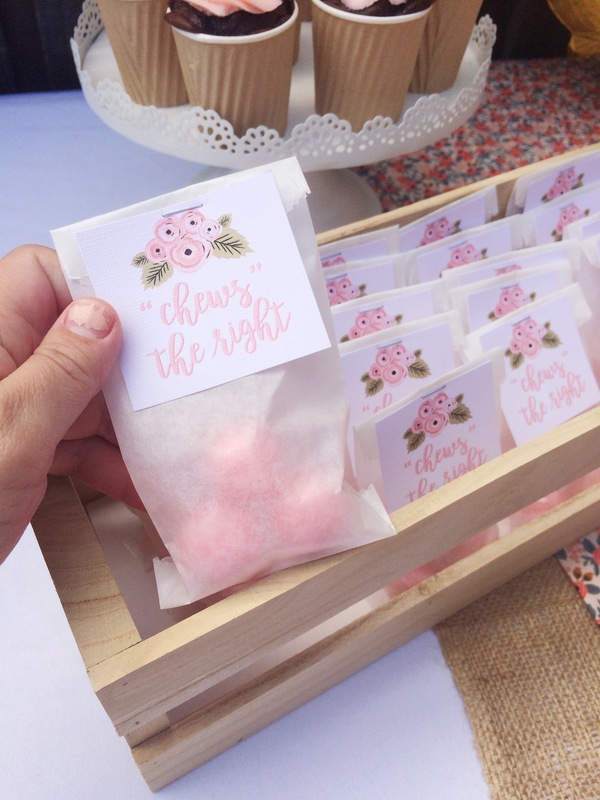 I made some “punny” favors with some coral gumballs (affiliate link) packaged up in some glassine bags, and these labels I designed myself. 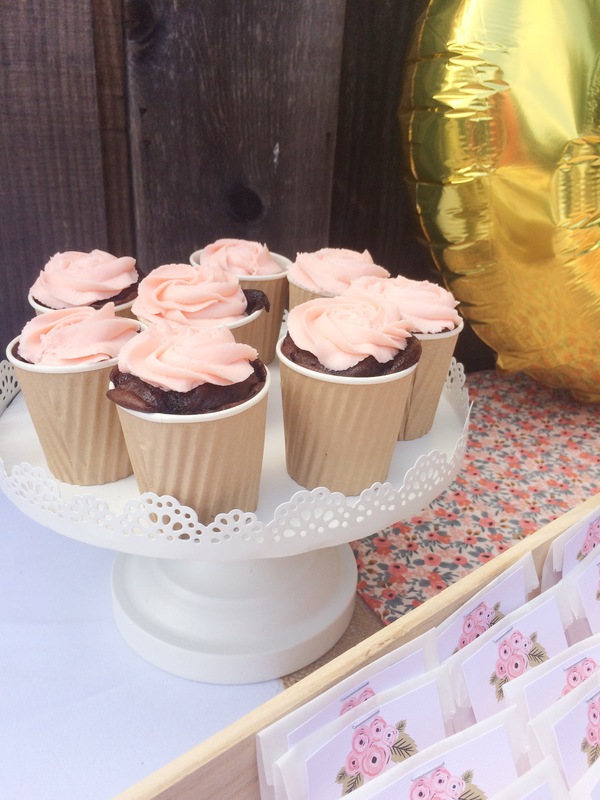 chocolate cupcakes got the rosette treatment and also baked up in these adorable kraft cups! I was able to reuse these wood slices from my sisters wedding (gotten SO much use out of these! 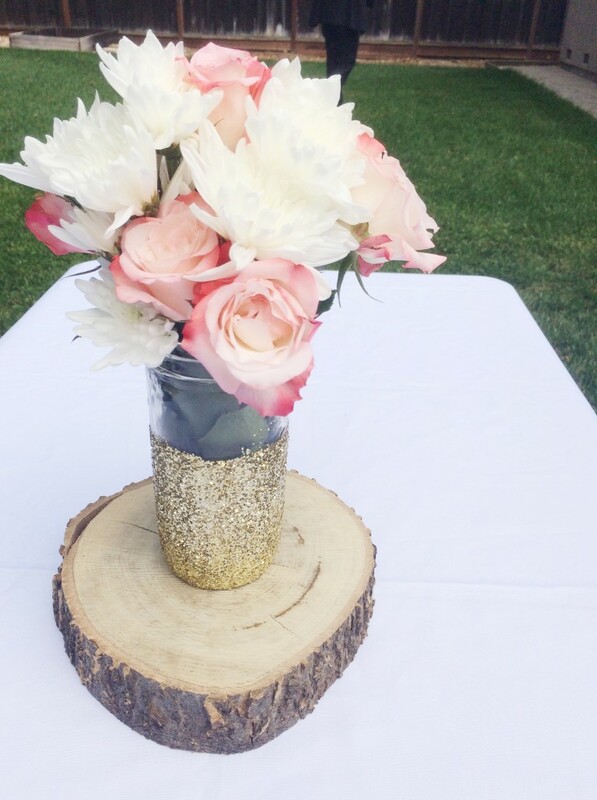 ), these glittered vases from the unicorn rainbow party, and found the perfect ombre roses to use for the simple centerpieces mixed with some white blooms. The gold eight balloon worked out really well! 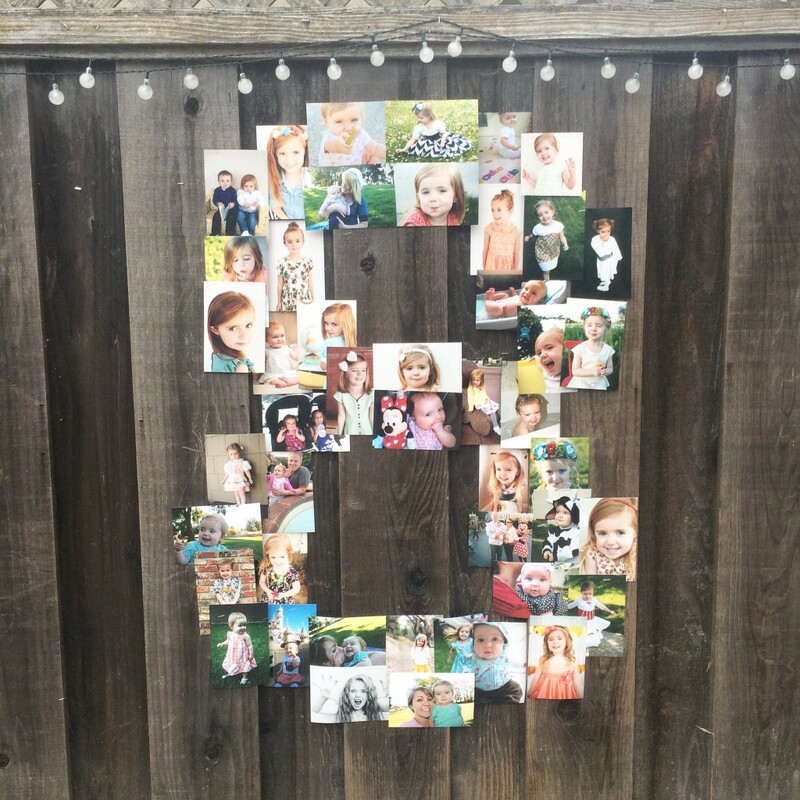 I also printed off a ton of pictures of the first eight years of her life and arranged them into an “8” shape on the fence! Love how this turned out and the family loved looking at all the fun pictures of Sadie! 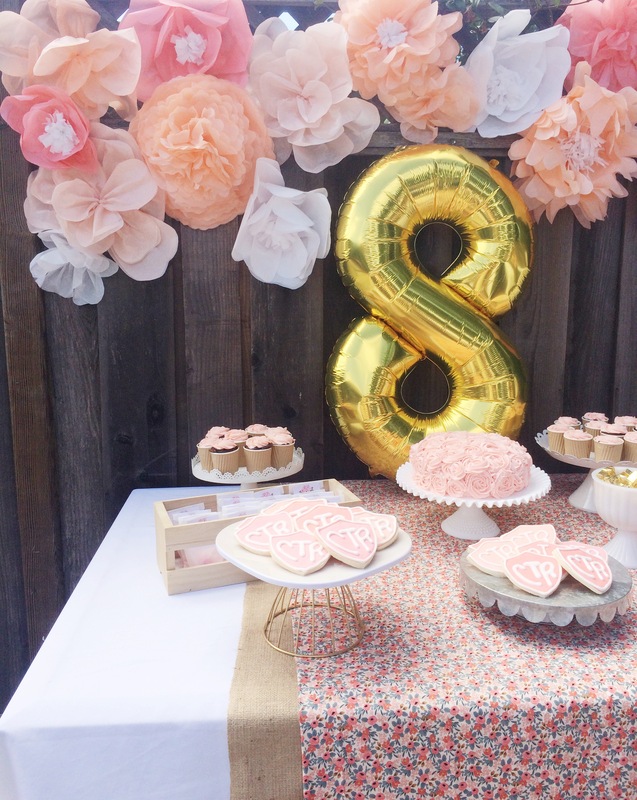 Your parties are always so cute! I love the juxtaposition of the rustic elements with the gold and coral. So lovely! How did you make the large tissue paper flowers? I kinda made it up as I went! I’m always obsessed with your awesome party skills. This has got to be one of my favourites! Lovely looking party. I hope you all had an amazing time. Can you please tell me about the tissue paper flowers on your fence. Did you make them? I haven’t seen anything like that before. ? I made them, yes! Kinda made it up as I went!